Starting as a vermin hunter and household companion, the Irish Terrier is a tough breed that is known for their fearless personality. These dogs were first documented as an official breed in Scotland back in the 1880’s. During this time, the Irish Terrier quickly became a rising star throughout this area. They were among the most popular breeds in all of Britain, and eventually, their popularity spread to the United States as well. Although they were known for their hunting skills, that’s not the only job you would see them do throughout history. In fact, during WWI, Irish Terriers served as messengers during the war and was later recognized for their intense loyalty and bravery. While they are not as popular today as they were in the past, the Irish Terrier showcases all the qualities you could possibly want in a trusted companion. The Irish Terrier is alert yet even-tempered, making them a perfect household pet as well as a dependable watchdog. Once this dog has a caring owner, you can expect them to be completely devoted and ready to please. However, it is also important to note that this breed is still a terrier, which means they tend to have an independent side if they are not properly trained at a young age. These lively canines also crave attention from their family or loved ones. In fact, if they aren’t receiving the attention they think they deserve, they will act out and develop naughty behaviors around the home. This can be completely avoided as long as they are being mentally and physically stimulated on a regular basis. With a little patience and consistency, the Irish Terrier can be a fairly easy breed to train. Keep in mind that they can have a mind of their own at times, ignoring all training efforts if they become bored or finding interest in something else. Obedience classes are highly recommended for this breed, especially for inexperienced owners. Also, make sure to socialize your Irish Terrier from a young age. Show him different places, people, and experiences so he becomes aware of everyday occurrences. 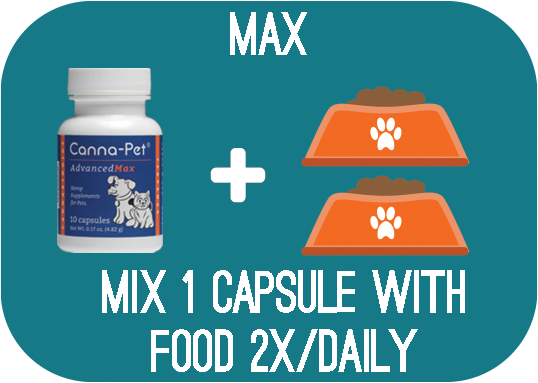 This will help your pup become a well-mannered and behaved dog later on in life. While these dogs are quite active, they do not need hours of physical activity on a daily basis. A 30-minute walk around the park is plenty, and if they have an open yard at home even better. The Irish Setter also loves a good game of catch due to their instinctive drive to chase things. Whether playing tug of war or hide and go seek, your Irish Setter is happiest when he gets to play any type of challenging game. On average, the Irish Terrier lives to be about 13 to 15 years old. Although they were once among the most popular breeds in all of Britain and Ireland, their popularity has dwindled to a steady rate in more recent years. Today, the American Kennel Club has ranked the Irish Terrier as the 115th most popular dog breed in the United States. An Irish Terrier should consume between 1 to 1.5 cups of high-quality food a day, split into two equal meals. However, keep in mind that the amount of food may fluctuate depending on the dog’s size, age, activity level, and metabolism. For a more specific feeding regimen, consult with your veterinarian. The wiry double coat of the Irish Terrier should be brushed with a natural bristle brush weekly to prevent matting. Their coat should also be stripped by handle a few times a year in order to keep their staple coat texture. If you don’t care about keeping their wiry coat, then many owners will have it clipped which will turn the coat softer and lighter. Along with regular coat grooming, it is also important that their teeth are brushed weekly to prevent bacteria and tartar from building up. Dental Disease is a high risk for all dogs, so having good hygiene practices is a must. Are Irish Terriers Good with Kids? The Irish Terrier is a fantastic companion for children. Their youthful spirit, medium-sized built, and loving demeanor makes them the ideal playmate for any member of the family. Keep in mind that no matter how old the children may be, a parent should always supervise any interactions between a dog and child. Hypothyroidism: Hypothyroidism is a condition that occurs when the body can not produce a sufficient amount of thyroid hormones. This may cause the dog to have a fluctuation in weight, lethargy, or a change in their coat. Hypothyroidism in dogs can be cured however by taking a synthetic hormone pill. Hip Dysplasia: All larger dog breeds are at a higher risk for developing canine hip dysplasia. This genetic condition occurs when the hip socket and thighbone do not properly fit how they should, causing pain, lameness, and even arthritis. Von Willebrand’s Disease: This bleeding disorder does not allow the dog’s blood to properly clot. Symptoms of Von Willebrand’s Disease in dogs include bloody noses or excessive bleeding after surgery or injury.